Kurt’s minor league career as a player actually stretches back to 1972, when he played with the Lake County (IL) Rifles. 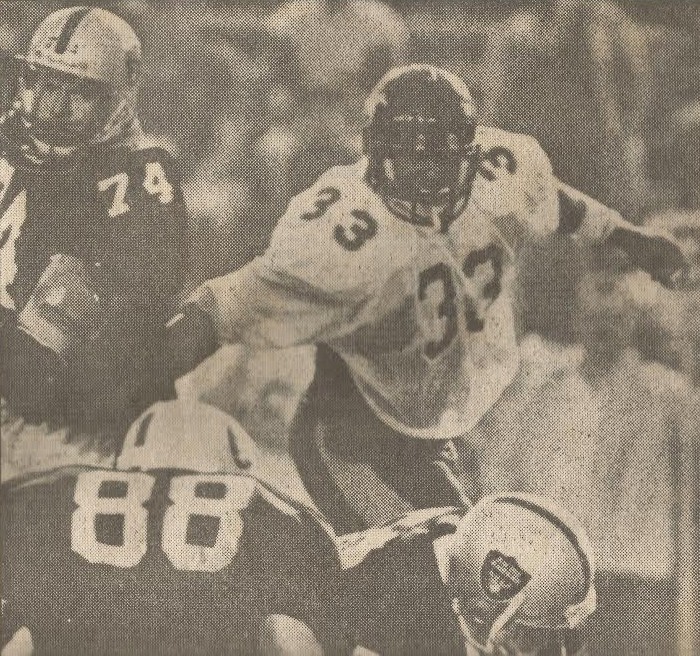 He later joined the Delavan Red Devils and Lincolnwood (IL) Chargers, before coming to the Raiders in 1982. Kurt earned the distinction of being the first active player ever to be inducted into the American Football Association (AFA) Hall of Fame, an honor bestowed in 1988. He also earned league MVP honors twice and was an All-League player 16 times. Before becoming the Raiders’ head coach (1995-1996), Kurt played under Harry Gilbert, Pete Bock, Bob Milkie and Terry Converse. As a head coach, Kurt amassed a 29-4 record, winning the MCFL and MLFA championships in 1995. He works as a software associate for Avaya, having spent 29 years in the telecommunications field. He and Karen, his wife of 25 years, have two children; Kurt, Jr. and Kelly. Kurt’s number was retired in 1993.